Born in Chicago in 1984, Alecks is a self-taught visual artist and graphic designer. Identifying himself as a creative at an early age, it wasn't until 2011 when Alecks began gaining local recognition by winning design competitions. He dedicated himself as a freelance designer and also occasionally teaches art workshops with middle and high school students in the Chicago-land area. 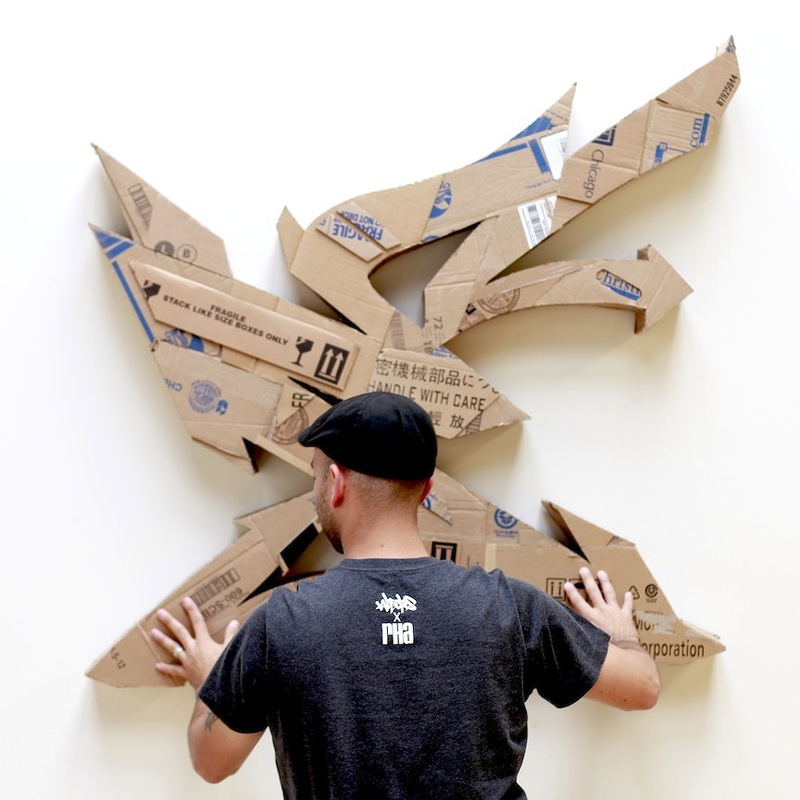 In 2012, Alecks took his love for graffiti art and developed conceptual ideas constructing cardboard graffiti pieces that quickly became his trademark. Most of his cardboard sculptures solely rely on the existing colors, patterns, and words found on the cardboard pieces he chooses for each project. Besides freelancing, leading workshops, and making sculptures, Alecks paints murals, curates exhibitions, and takes commissions. You can view more of his works and connect with him on Instagram.